I was able to make a flight out with a stable, normal climb. As I imagined, it was as simple as pushing the ALT knob before my takeoff roll. It is my understanding however that if you preflight correctly & dial an altitude into the glareshield, it should auto select that & capture it...?? Is that correct? Yup. Double click for ZFW/ZFWCG & enter the block fuel...is there anything else on that page I need to do other than those 2 entries? So...if I have a cruise level set here, an altitude set on the glareshield & a SID loaded I still need to pull or push the knob? Not doubting you at all, you are right I'm sure...I just don't remember having to do that in the FSLabs bus. I only ever remember pulling the knob out to initiate a descent. Maybe I've forgotten some incredibly important step but I have detailed notes/checklists I made for myself to fly the FSLabs 320 (no, I no longer fly it) & have gone over those to make sure I'm correctly following what I understood to be reasonably accurate procedures. Did some searching & wasn't able to find anyone in the same boat, apologies if I missed it, but I've tried a few times now to conduct a flight with the 319. I follow the FD after takeoff & regardless of when I engage the AP the aircraft pitches up for about an 8000 FPM climb. I disengage AP, lower the nose, hand fly it to stable flight, reengage...same issue. I did a fresh install of P3D, no luck. Fresh install of the bus, no luck. Windows recovery to how my laptop arrived from HP & spent days reloading everything...still the same problem persists. 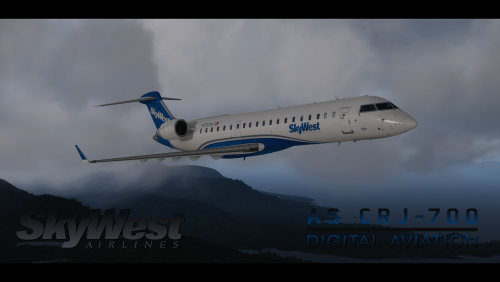 The SkyWest 35th Anniversary bird would be a cool one to have. I've only been on these forums for a few days but your work is incredible Holgi, I very much appreciate it.